This week kicked my rear. I spent way too much time at the office and completely lost the work/life balance I fight to maintain. But your lovely e-mails and comments helped get me through. Thank you very much! In stressful times like these I retreat to the pool and follow the back line. That’s were I went as soon as I got done with all my work this week. 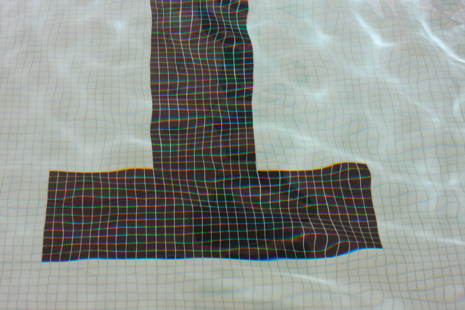 When I’m in the pool, there’s no e-mail, cell phone, or talking. I just slip into the rhythm of my stroke, cruise down the lane, flip and push off for another 25 yards. The pool is my place to escape the garbage of the world, the place I go to unwind, relax and burn calories. I’ve felt this way every since I joined a YMCA swim team at age 13. Swimming lap after continuous lap, staring at the bottom of the pool sounds boring, I know, but I love it. When I swim, I feel like I’m home and completely me. So, I’m back and blogging and planning to finally tape the intro to my next podcast today. I apologize for the delay. This week was tough, but very motivating. It helped me refocus on some of my long-term goals and future plans to take CraftSanity to the next level. I’ve been working hard behind the scenes to hatch a plan that will hopefully make us all very happy. I’ll be sharing more details soon. In the meantime, thanks again for your support. You creative folks inspire me to no end. Samantha Caffee is taking orders for her new “Miss Madeline” peasant-style apron dress pictured above. 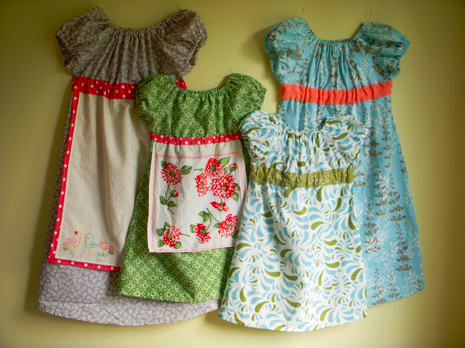 As a serious apron enthusiast, I can’t wait to whip up a couple of these sweet dresses for my girls. The dress comes in sizes 6 months to 4 and 5-10. The cost is $10.95 (plus $1.50 shipping) for the printed version and $9.95 for the PDF. You can find out more here. This it totally short notice, but I want to encourage local readers to head down to the The Avenue for the Arts Market from 4 to 9 p.m. in the 100 Block of South Division Avenue in Grand Rapids. I plan to stop by to meet some talented artists and visit Randall Gornowich, the photographer I featured in my art and craft column last weekend. Okay, that’s it for now. I better get to work. Happy crafting, everyone! I have been exploring for a little for any high-quality articles or blog posts on this sort of area . Exploring in Yahoo I at last stumbled upon this site. Reading this info So i’m happy to convey that I’ve an incredibly good uncanny feeling I discovered just what I needed. I most certainly will make sure to don’t forget this website and give it a look on a constant basis.